One of the exciting pieces of news items today is the recently announced 3rd generation of Olympus Micro Four Thirds camera. 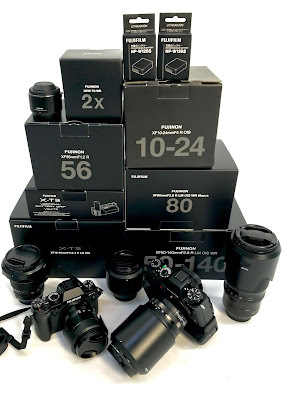 The internet community is a buzz over the three new models, two new prime lenses and a new flash unit (FL-3000R). This blog post isn't another product release post rather it's going to be more about why I'm considering it. First off, I don't think this camera is for everyone. If you're planning on going into professional shooting, you really need to get a good grasp with something that has been tried, tested and true which is still in the form of an SLR, at least for now. I've been an arms length fan of the mirrorless concept for a while and have been looking at getting a system for myself for some time (exploring the Sony NEX and other small concepts like the Fuji X100). 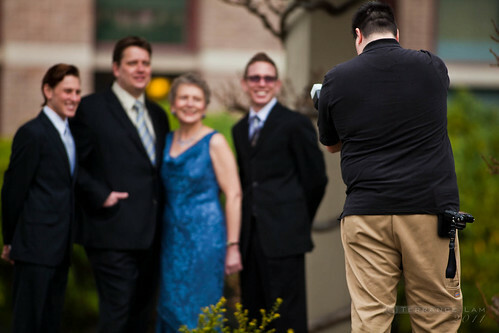 Situations like my friend at JR Photography who shot a wedding that I wrote an article about with the system are some of the reasons why I was interested in it. So those who know me, know I shoot the much larger format dSLR cameras and might wonder why I would ever consider one. This question was sparked by some initial feedback that I've seen in various forums on what is the purpose of a mirror-less system. The Olympus Pen system for one has certainly matured, and although it's a smaller sensor than my Canon 7D, the images that come off it are pretty spectacular. But I also own a Canon 5D mark 2 which begs the question, why do I have a lower resolution crop camera to begin with. Simply for a few reasons, better video performance, faster fps and better AF tracking. However upon assessing my reasons for owning the 7D, it was always merely a back-up to my primary camera which was the 5D mark 2. All things considered, I really found myself not using my 7D as much as I should, in fact, one of the things I had picked up a few months back was my Canon Powershot S95 which is a point and shoot camera that has dSLR like functions, RAW images and high ISO performance. With that in my pocket my 7D actually started to sit idle even more so. The portability of the S95 became more apparent and with a flexible range of 28-105, it covered a lot of shooting scenarios. Now I'm not going to even compare the E-P3 to a 7D. It's just no match to it when it comes to high speed photography. In reality, I'm a patient shooter and having a sports body camera just doesn't fit my top down casual back road driving. However here's the major reason for even considering something like this. In the past when I went on a shoot and brought my 7D as a back-up I've found that it really was more of a pain to lug around a heavy second body with lens. Even in low light, the 7D benefits, seem to really go away quick when I really want to just wander around discretely but have an option of a second lens/body combo ready to go. Most times or not, the 7D was merely a holder for my lens, and I found that I switched lenses before I actually used the 7D to shoot with. A third version of the 14-42mm kit lens. Newer stylings and grip design. Having such a compact camera like an E-P3 with a 12mm lens (which is equivalent to a 24mm on a 135 format) is going to be so handy around my neck that I know that it would certainly be helpful in certain situations. I think one of the things that other photographers get hung up on is interchangeability and also on having a massive range of options. Frankly, having an E-P3 with just one or two choices of lenses is going to reduce dependency on a whole new system of lenses. Find that focal range that works and stick with it. I was considering the Fuji X100 which has a fixed lens, but this new option opens up a new world of options. First being able to select the focal range I'm happy with, and second, the world of rangefinder lenses that are very affordable on the open market. EP-3 with two grip style options. Now before I go on any further, touting the virtues of the the Pen system, I'm going to get off my chest a few things I don't like about it. First, I still find the idea of using just an LCD screen for shooting a bit disconcerting, however after several months with an Canon s95, it's something I'm slowly getting used to quickly. However in bright scenes, nothing beats a proper viewfinder. I know that there's an optional and very good EVF finder but it does take up the hot shoe which can potentially be a problem. Lastly it is small, but some of the lenses can be heavier than the camera and throws the balance point out. Holding a point and shoot with a big lens out in front is very unnatrual, however you do learn to cradle the lens more and learn to balance it better (I actually have a couple new DIY concept in mind to improve the handling of of the Olympus Pen when I get my hands on one). The fact that the new E-P3 has interchangeable grips is very exciting to this DIYer. 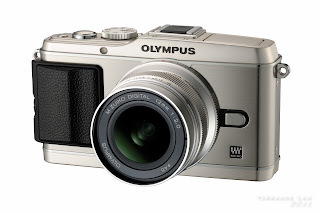 At this point should I get around to ridding myself of one of my bigger dSLR cameras and replace it with a much more compact Olympus Pen E-P3, it will be a pretty big paradigm shift in thinking for me. I spent some time with several of the models in the past, but this latest line-up has me convinced that it has grown up and it is time to pick one up. I'm going to miss a few things off the Canon 7D when I do change over which will be the tracking and fps, but my 5Dmk2 is more than capable of catching every shot I have ever intended on catching. I do think that if you're considering a change, that those that do portrait or event shooting, consider this as a second body and maybe not as a primary. If you did, you would need to do a whole system change over and you'll quickly miss some things that an SLR system still has an advantage over the Pens. However it does appear that shutter lag and AF speed improvements (fastest in the world they claim for contrast detect system) in this third generation were really the two major things that makes the SLR format obsolete, it still can't beat the depth of field control that you get from a 135 format (much like comparing 135 format to medium format). Would love to get my hands on one right away to give an impression, so stay posted and hopefully I'll put up a more hands on review of it when I get the opportunity to do so.